It is no secret that I am somewhat of ‘quirky character’; from my incessant need to colour-ordinate every outfit to the unique trinkets that I pick up on my travels, there is something so deliciously creative about quirky gifts. When I was younger (and had more disposable income) I had a reputation of being someone who would buy gifts that ‘weren’t mainstream’ and was suited to the person I was buying gifts for. For example I would create personalized canvases and mugs, with photo collages to represent all the memories that we had shared together, and I was so delighted with one gift from a friend that followed the same vein of thought. It was a beautiful photobook, chronicling all the memories we had shared- from our time during theatre school, losing contact for 7 years, to finding each other at the same university and becoming best friends, and it showed me that it is not about how ‘expensive a gift is’ but rather the belief that it is the thought that counts. And this is still the way that I think today, for Christmas I brought my aunty and foster mum-alongside other more generic gifts I had given them- a spa and afternoon tea escape, because I knew that they never, ever treated themselves and always put others, before themselves. With this idea in mind of curating a selection of gifts that have ‘heart and soul’, I was pleased to stumble across Countryside Art, whose quest for beautiful printed giftware had come full circle. Countryside Art, like me, believes that gifts become special when there is thought and while we all love a box of chocolates, sometimes a bespoke gift, like a china giftset for your grandma who loves tea or an eco-friendly cosmetic bag for the eco conscious beauty lover, shows that you have taken the time to truly think about the gifts you are giving your friend, mum and so forth. For example when someone knows that I am cruelty free and only uses products that are not tested on animals, it makes me so happy when a friend or family members gifts me cruelty free products that they know I can use. Even though my aunty does not know a lot about ‘cruelty free products’ she did go out of her way to not only ensure that she had vegetarian friendly food in the house for when I visited at Christmas but also gave me gifts from Lush, which she knew I could use because – and I quote- had large declarations against animal testing. And while Countryside Art is more focused on bespoke beautiful printed giftware, it runs on the same principle of giving gifts that people can appreciate. Which is where my quest for beautiful printed giftware comes in: friends and family have gotten used to me buying them personalized photobooths, theatre trips, taking them to restaurants and buying them spa days, because when it comes to loved ones there is no expense spared. Even though I have no money, I will quite literally spend months saving up money just so I can see that wonderful look of delight on their faces. But sometimes you don’t need to spend a lot of money to make someone happy, and given that I am on a budget, I thought that printed and personalized gifts like mugs and plates or beautiful cushions, would be just as thoughtful without having to survive on pasta all year long. There is nothing that I love more than coming home and sipping on a hot cup of decaf coffee with ‘cheesy toast’, while I watch Ru Paul’s Drag Race and I know that I am not the only one. I have a dear friend named Corrine who has her very own ‘Pottery Tea Set’ printed with beautiful floral prints, so that she could have her very own tea party and I think that it is such a fabulous idea. Whether you want a printed mug that has your company’s name on it or are gifting it to your ‘tea obsessed’ relative, something as simple as a mug can really make someone’s day. And these are no ordinary mugs either; Countryside Art work in conjunction with a Stoke-based pottery firm, who skillfully print and apply your designs to the ceramics, for runs up to ‘500’. Not only do you have the choice to choose the design, colour and print of your mug or plate, but you are also able to a style of ‘Bone China’ to suit you. For example the Bone China Can Mugs can use single colour, multi spot colours, full colour transfer prints and dye sublimation while a daintier cup like the Bone China Topaz Mug is ideal for marking commemorative occasions like weddings as opposed to afternoon teas. As you may know by now, I began my ‘Cruelty Free’ journey back in June 2017, after realizing that everything from the clothes that I was wearing to the skincare products I was using were harming animals. As a huge animal lover it did not sit well with me that while I was a vegetarian I was still wearing leather and suede products and buying from brands like Revlon who were testing their products on animals. Now I do not use products that test on animals and only use plant based or man made materials that are cruelty free like nylon, bamboo, cotton, PVC and vinyl, avoiding fabrics like suede, leather and ‘real silk’ which use animals in the production of their fabrics. When it comes to finding a good quality, vegan friendly bag however, it can often pose an issue as many brands still use leather for their bags, so I have to be very careful as to which brand I choose. Luckily at Countryside Art, there are no animal based products to be seen, with bleached cotton, panama (a type of basket weave) and waterproof nylon as part of the materials used to create their cruelty free cosmetic and wash bags. Not only do they offer a range of prints and sizes, but they can (like the mugs and plates above) tailor make your cosmetic and wash bags to suit you. For example you could choose a gusseted ‘cosmetic bag’ on bleached 280gsm panama featuring your own label in side seam and swing ticket (digital print) or metallic prints on ‘flat cosmetic bags’ are also available too. Speaking of cruelty free, my choice to protect animals is not just limited to what I eat or use on my face, but even the cushions I use must align with my moral ethics too. As many cushions are stuffed with duck or goose feathers, I must seek alternative cushions, and that includes the covers I use to make my cushions look beautiful as well. 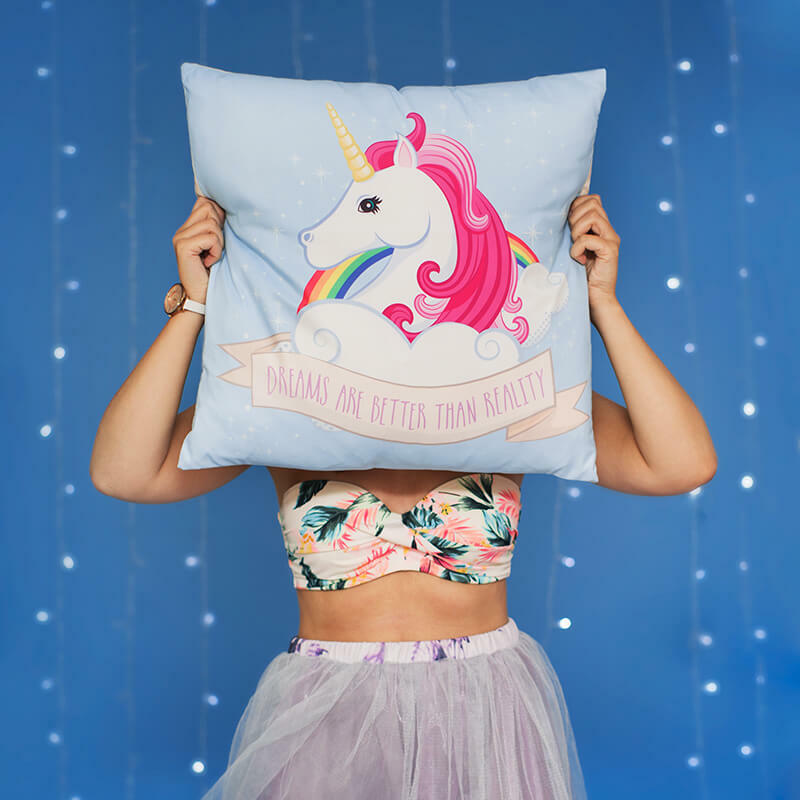 At Countryside Art, once again they have waved their magic wand and crafted vegan friendly cushions and digitally printed cushion covers that only use materials like cotton and panama, sateen and calico in bleached and unbleached, all products which are suitable for vegans and those who are cruelty free. Like the name suggests, the concept of ‘Countryside Art’ is to transform the products you use into ‘living art’ that is inspired by nature, with the use of natural fabrics. So whether you want to print a picture of your beloved cats onto the cushion (s) or would rather go to bed dreaming about your favourite chocolate at night, the possibilities are endless. As supermarkets and shops cut down on the use of ‘plastic bags’, it has prompted me to think more about my actions and its impact on the environment. Watching Blue Planet had me in tears, as I found out how ‘plastic waste’ has created ‘plastic pollution’ whereby the accumulation of plastic products in the environment will adversely affect wildlife, animals habitats and even humans are affected by plastic pollution. As Synthetic plastic does not biodegrade, it means that it will pollute the environment as it just sits and accumulates, meaning an uncomfortable home for the fish and animals that live in the sea. While I have a long way to go when it comes to ‘plastic bottles’ I have taken steps to try and protect the environment by using ‘eco friendly’ shopper bags when I can, instead of buying plastic bags which are having a negative impact on the environment. At Countryside Art, they are delighted to hear of the demise of ‘plastic production’ being a retailer that focuses on eco-friendly purchases. With shopper bags made from canvas, calico and panama, alongside being cruelty free, the shopper bags are made with the environment in mind, meaning more happy animals all year round. With a range of bespoke options from printing to size, their printed bags are both robust and beautiful. Question is what will you choose? What Are Your Thoughts On Cruelty Free And Eco Friendly Printed Giftware? Is It An Option That You Would Pursue? Please note this is a collaborative post with Countryside Art but all thoughts and opinions expressed are my own .